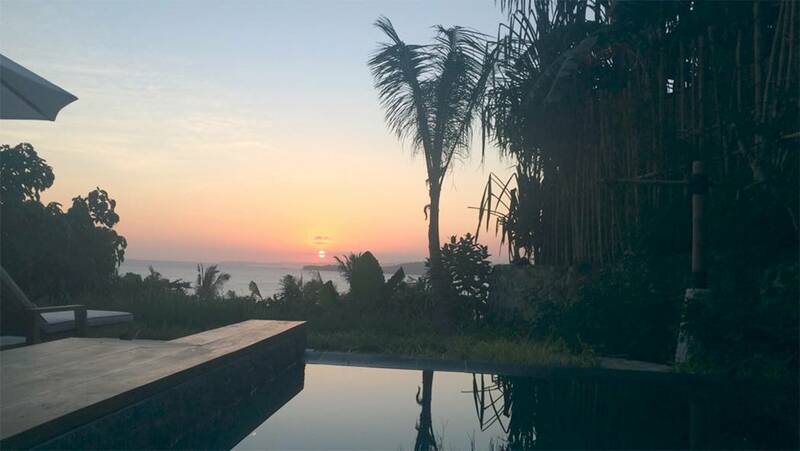 I finally hit the book button on a yoga retreat in Nicaragua. It was official, after weeks of research and checking on my schedule, I was going away for me. I felt stressed out and tired. I was working long hours at a job that I loved, but required a lot of my attention, energy, and time. It was time for me to take a vacation that didn't involve a visit home to my family. I was going by myself to visit two countries that I've never been: Nicaragua and Panama. There would be no cell service and minimal WiFi. All I had to think about was taking yoga, learning how to surf, and going to the beach. I needed this break and I couldn't have been more excited. Working at a retreat center, I saw the changes our guests made. They came in stressed and tired, and left feeling rejuvenated, re-energized, and relaxed. Only a few days made a dramatic shift. Yes, they were leaner, their skin was brighter, and their bodies stronger. But what really kept people coming back was the feeling they had when they left. Like they had a clean slate to start from. I wanted that for myself. You get to be taken care of. How many of us put ourselves last? We take care of everyone else before considering what's best for us. We'll cancel a workout for a meeting, go to three stores to find the right crayons for our children, make dinner for our aging parents and have nothing in our fridge. If we don't refill our energy stores, we burn out. Going on a retreat does that for us. It recharges our energy stores while igniting a glow from the inside out. You don't have to make decisions. In fact, you barely have to think at all! You may not even realize how many decisions you make until you don't have any to make. With a structured retreat, your days are planned for you. All you need to decide is what to wear and how you want to spend your down time. Disconnect and get in touch with yourself. Take yourself out of your routine, put the phone away and let the rest of the world happen while you enjoy peace. Rediscover your inner voice. Being outside in nature, whether it is on a hiking trail or sitting on a beach, can help soothe the soul. What diet is right for you? What exercises burn the most fat? Why is water so important? All these questions and more are answered in a personal and friendly environment. You will be exposed to a variety of innovated exercise classes and nutritional knowledge that will leave you well-informed and prepared to integrate your new knowledge into life after the retreat. And probably should! It can be scary going somewhere when you don't know anyone. But it can also be freeing not needing to work with anyone else’s schedule or being responsible for their happiness. You can hang out in the group, enjoy some true alone time, or find a balance. No one will think less of you. You may make new friends. Like attracts like and similar personalities will be drawn to the same program. Not knowing anyone can allow you to open up in ways you never thought you would. I've seen friendships blossom from a hike and shared experience. Get out of your comfort zone, and push yourself in a way that you didn't expect. Or learn something new, like surfing, yoga, painting, cooking, etc. The tools are provided for you, you just have to choose to accept the challenge. I always think of the MasterCard commercial. How you feel at the end: Priceless. For me, I returned home renewed and better able to do my job. By taking care of myself, I could take care of others better and I was reminded of the importance of the guest experience. Although I've improved, I don't take the time for self care. But I've learn to recognize when I need to step away and go on a retreat.